Under the ASEAN-German Energy Programme for ASEAN (AGEP)–a jointly implemented project by ASEAN Centre for Energy (ACE) and Deutsche Gesellschaft für Internationale Zusammenarbeit (GIZ) GmbH on behalf of the Federal Ministry for Economic Cooperation and Development (BMZ)–ACE finalised the Desk Research Report on Mapping of Green Building Codes and Building Energy Efficiency in ASEAN: Towards Guidelines on ASEAN Green Building Codes. The Study was developed together with ASEAN Energy Efficiency and Conservation Network (EE&C-SSN) and supported by GreenA Consultants, Singapore. 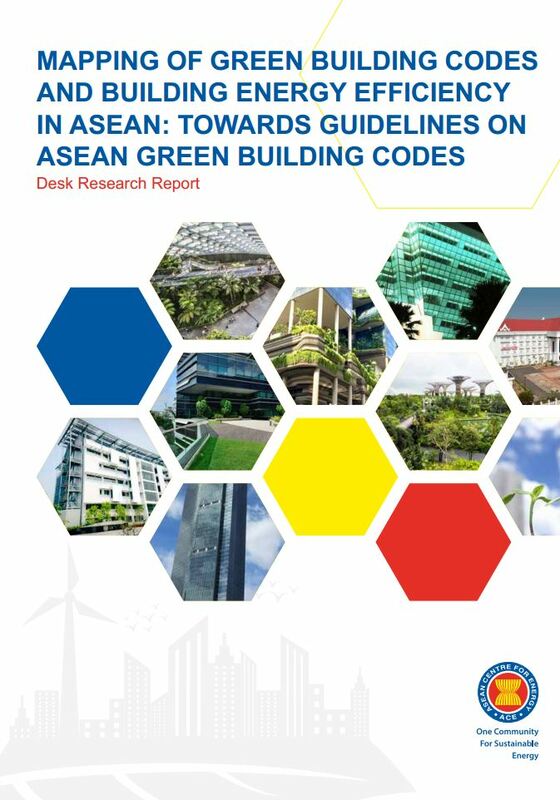 The Report presents the mapping study and provides an overview on the current situation of the existing GBC implemented in ASEAN building sectors. Due to the different stages of development, AMS have implemented GBC as mandatory or on a voluntary basis as well as with codes at a national level. Brunei and Thailand have made it mandatory for government buildings, whereas in Singapore it is mandatory to have minimum environmental sustainability standards for new building development and existing buildings undergoing major retrofitting with a gross ﬂoor area of 2000 m2 or more. In other cases, some AMS have adopted GBC at specific and suitable to regional or provincial levels such as in Indonesia, where the Green Building Codes are mandatory for large buildings, such as in Jakarta for buildings which have a total area between 10000 to 50000 m2, as well as in Bandung for large buildings. Conversely, in other AMS the GBC is implemented on a voluntary basis or are still in the development stages.